Make smarter bets this March with Action EDGE. 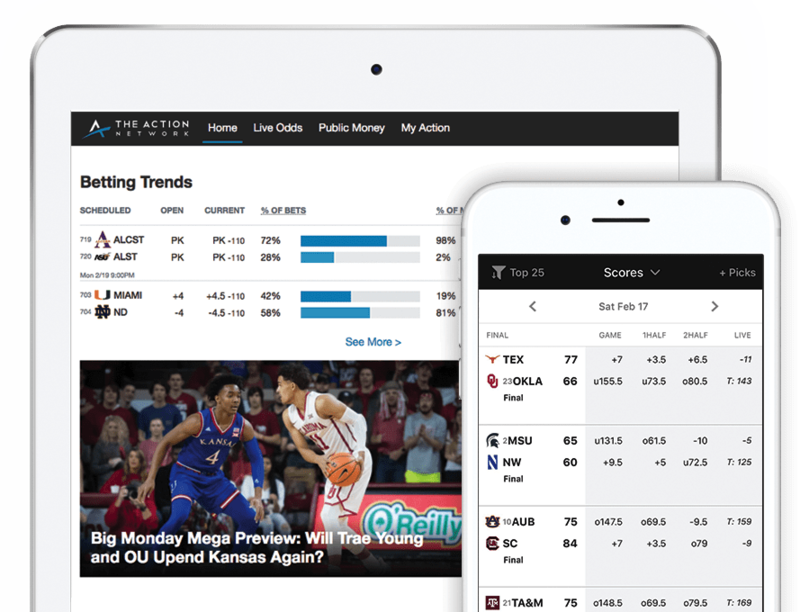 Users get unlimited access to expert insights, real-time odds and data-driven betting trends. Ultimate 2018 Final Four Betting Guide: Predictions, Analysis, Trends and More! Saturday’s Elite Eight Mega Preview: Will Michigan Roll to the Final Four? Ultimate Friday Sweet 16 Betting Guide: Is Duke in Trouble as a Big Favorite? Enter Your Bracket. Win Cash Prizes. Compete in The Action Network Bracket Challenge! You could score up to $3,000 and other great prizes during the 2018 Men's College Basketball Tournament. Our app is the fastest way to follow all your tournament bets and get betting updates in real-time.